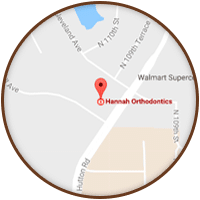 Hannah Orthodontics is proud to offer speech-language pathology and myofunctional therapy services for patients. 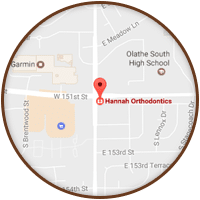 Properly training your tongue and lips to function normally will improve the results of your orthodontic treatment and will decrease the chance that your teeth will move after they are corrected. If our doctors detect habits of tongue thrusting, deviating swallowing or reverse swallowing, they will refer you to our staff therapist for Myofunctional Therapy (tongue, lip, and swallow training). The initial consultation is approximately 20 minutes, and additional visits approximately 10 minutes each. 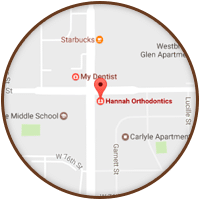 Because of the continued commitment to fantastic smiles and beautiful bites, we offer this service to you FREE OF CHARGE. Outside of our office, you could find this service very expensive! Mr. John Brooks has worked with our patients as a Myofunctional Therapist for more than 40 years. John has a Master’s Degree from Wichita State University. In addition to his many contributions to our practice, John has also followed a career in Public School Administration. We are very fortunate to be able to offer the skills of such an experienced and talented professional to you. 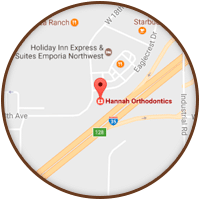 Mrs. Amy Kuhn also works with our patients as a Myofunctional Therapist and received her Master’s Degree from Wichita State University. She is currently working for the Kansas City, Kansas Public Schools as a speech-language pathologist. We are very happy to have Amy with us to offer our patients the highest quality care. Your doctors may have told you that you, or your child, have an oral myofunctional disorder or OMD. Like most people, you have probably never heard of this before and are unsure of what it means. 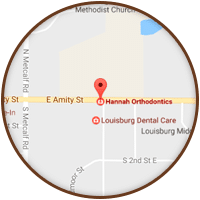 Very likely, you may not have been very aware of having this specific problem and were actually seeking help for some other oral or dental problems. OMD refers to a pattern that involves the oral and orofacial muscles that interfere with the normal growth, development or function of structures, or calls attention to it. Tongue thrust is sometimes referred to as “reverse swallow” or “deviate swallow.” All in all, it means the same thing- it is an atypical swallow in which the tongue moves forward and/or sideways in an exaggerated way during speech and/or swallowing. At rest, the tongue is usually carried low and forward in the mouth. All babies use a reversed swallow at birth to protect their airway; however, around the ages of 5 to 7, they develop a more efficient pattern. Although you cannot diagnose yourself, or your child, as having a tongue thrust, you can still utilize some simple everyday items that will only help and/or assist with the development and strengthening of the oral motor muscles. It should be noted that if you or your child shows the signs and/or symptoms of a person with a tongue thrust, please seek out a speech-language pathologist or an oral motor therapist for their expertise, as a more specific and appropriate treatment program can be provided.